To create this look I used (left to right) Can’t Read Without my Lipstick, Meet my “Decorator”, Fire Escape Rendezvous (the only acceptable way to wear this shade is by making a stamp decal), and Got the Mean Reds and stamped it with BM-S215 using BMC Creative Art polish Angelic White. This was a great use of this collection! 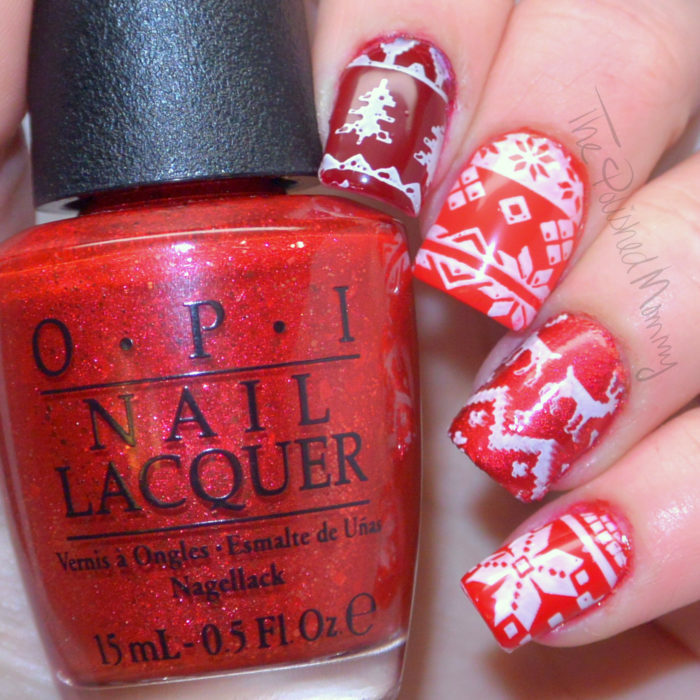 I can’t get enough of sweater nails! Fun mani! Love the stamping! Love the subtle variations of the reds in this. Gorgeous!